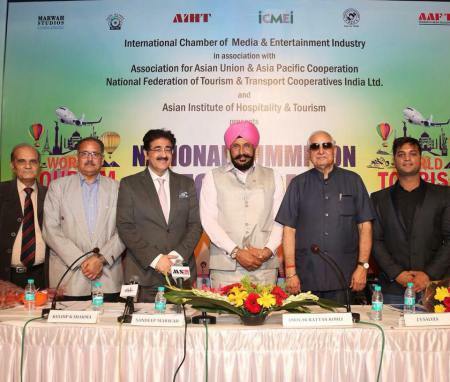 Noida: The second session of the National Summit on Tourism at Marwah Studios had a wonderful theme of Uniting Asian Countries through Tourism. The delegates from all over India participated in the session. J.P.Singh Director India Skills Development Council, Beni Prasad Agarwal Chairperson Association of Asian Union, Former Governor of Mizoram A.R. Kohli, K.K.Kumar Vice President AAU, J.S. Saluja General Secretary AAU and Gourang of National Federation of Tourism And Transport Cooperatives of India Limited were the main speakers. Anoop Saxena Director Asian Institute of Hospitality and Tourism paid vote of thanks. Dr. Sandeep Marwah informed the house that, ”we are the only institution in the country who have so far announced 162 international scholarships to students from all over the World, 162 Joint ventures in making of short film, 162 radio programs on Radio Noida and 162 TV programs for MSTV to bring the World closer’. 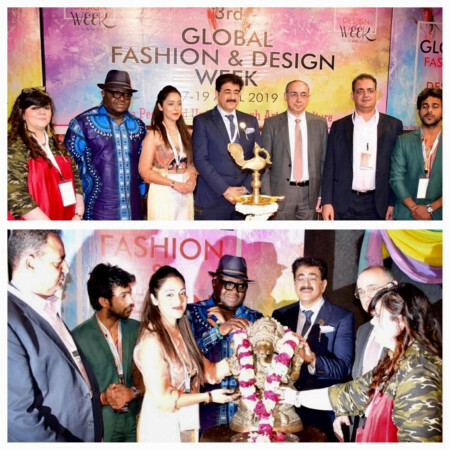 “It has been twenty five years since we have started Asian Group, an idea behind this name was to bring Asian Countries closer through art, culture and tourism,” added Dr. Sandeep Marwah. Later Sandeep Marwah presented the memento of the summit to every guest and the session was closed after the interaction and question answer round with the audience.